David Baldacci was born in 1960 in Virginia, where he currently resides. He received a Bachelor of Arts degree in political science from Virginia Commonwealth University and a law degree from the University of Virginia. He practiced law for nine years in Washington, D.C., as both a trial and corporate attorney. 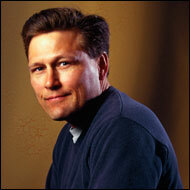 David Baldacci's works have appeared in numerous magazines, newspapers, journals and other publications worldwide. He has authored seven original screenplays. His books - all of which have been national and international bestsellers - have been translated into more than 45 languages and sold in more than 80 countries; over 110 million copies are in print worldwide.